ELEAGUE's first season comes to a close. There's a run of great finals and season climaxes to catch this weekend, from CS:GO to StarCraft II, LoL and all the fighting games you could want. You'll have to wait if you're after some Dota 2, however: the International starts next week, making this a quiet weekend of training and contemplation for the world's best Dota teams. 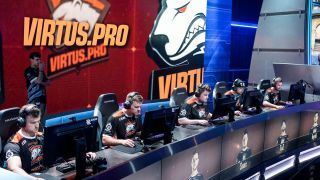 While the bulk of the ELEAGUE Season 1 playoffs will be over by the time you read this, you've still got the grand final itself to look forward to tomorrow. Starting at 13:00 PDT/16:00 EDT/22:00 CEST, months of competition will come to an end in a clash of some of the best CSGO teams in the world. You can watch on Twitch and find loads more information on the official ELEAGUE site. The final weekend of the NCA LCS season is underway. Play continues both Saturday and Sunday beginning at 12:00 PDT/21:00 CEST. If you're reading this on Friday, however, be sure to check out Immortals vs. TSM at 15:00 PDT/midnight CEST: both teams have an incredible 15-1 record in the split so far, so this'll be a clash you won't want to miss. As ever, you can find more information and the livestream at LoLesports. The first event of Intel Extreme Masters Season XI pulls together a lineup of international StarCraft II talent. Games have been underway for a couple of days, but you've still got time to catch the quarter and semifinals on Saturday starting at 07:15 CEST/22:15 PDT on Friday night. The final two players will face off on Sunday for the lion's share of $50,000 along with the KeSPA Proleague Final. The final day broadcast begins at 03:00 CEST/18:00 PDT on Saturday night. Watch via the official stream. New York hosts the Capcom Pro Tour this weekend, so expect another packed schedule of Street Fighter V, Guilty Gear Xrd, Skullgirls, Mortal Kombat, Hearthstone, and more besides. You can find the full schedule here. The SFV top 32 is due to begin at noon local time, which is 09:00 PDT/18:00 CEST. Keep an eye on the event's Twitter feed for stream details: it's sponsored by Twitch, so you'd expect there to be one. If there's no official coverage, it looks like TeamSp00ky is planning on picking up the slack.